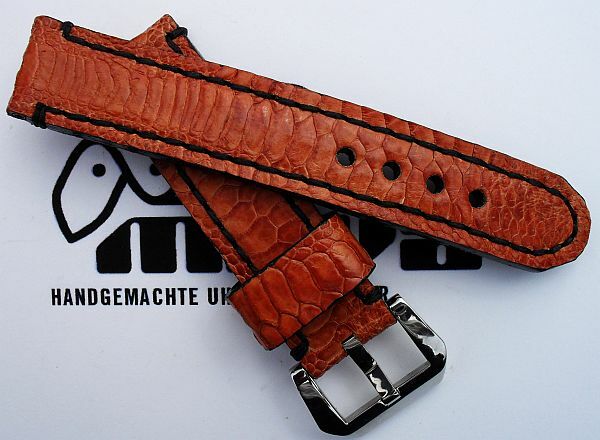 22028 - 20mm watchstrap "Salmon green"
22024 - 22mm Strap "Snake brown"
22023 - 22mm Strap "Ostrich platinum grey"
22022 - 22mm Strap "Calf dark brown"
22013 - 22mm Strap "Snake creme-white"
22011 - 22mm Strap "Calf light brown printed"
22010 - 22mm Strap "Buckskin beige for STEINHART Nav B"
22009 - 22mm Strap "Buffalo light brown"
22008 - 22mm Strap "Calf light brown"
22007 - 22mm Strap "Ostrich black"
22006 - 22mm Strap "Calf yellow"
22005 - 22mm Strap "Bullfrog brown / green"
22004 - 22mm specialstrap "Birthdayprint"
22002 - 22mm Strap "Chicken orange"
22001 - 22mm Strap "Calf brown"
01. 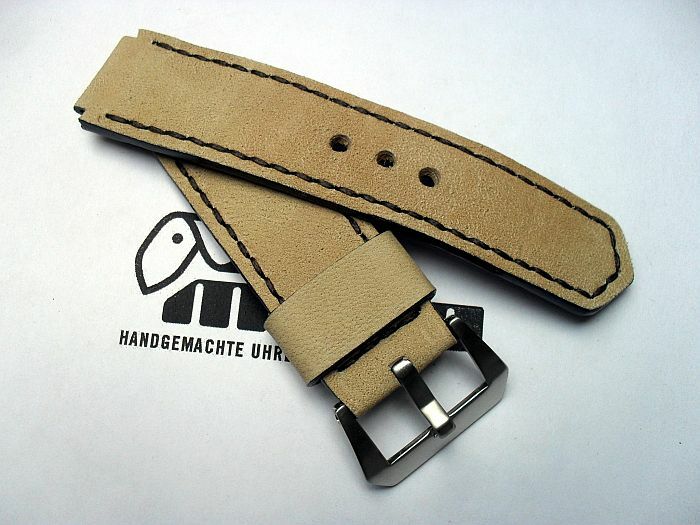 22004 - 22mm specialstrap "Birthdayprint"
02. 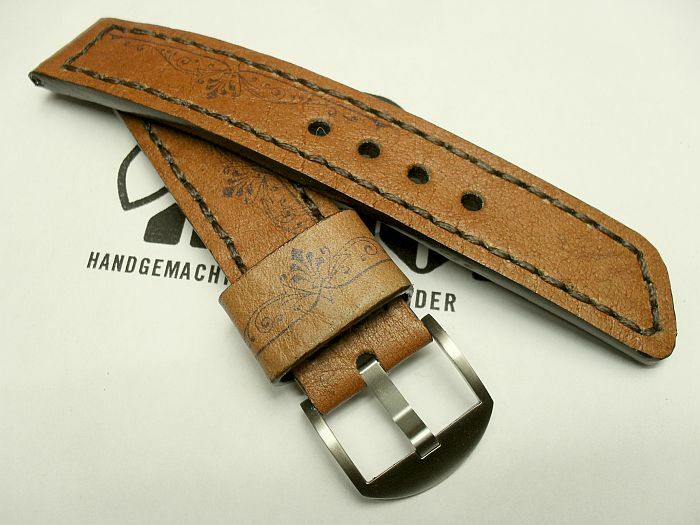 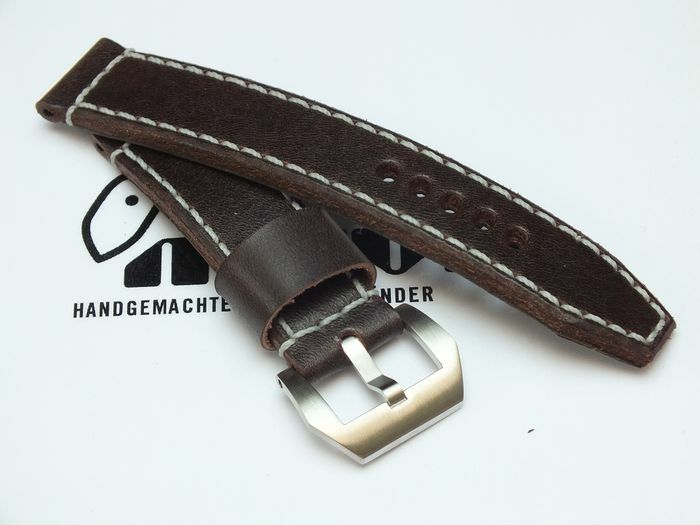 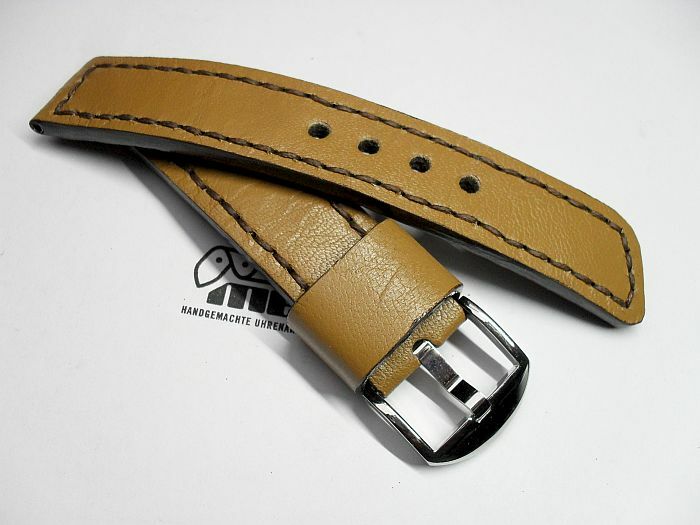 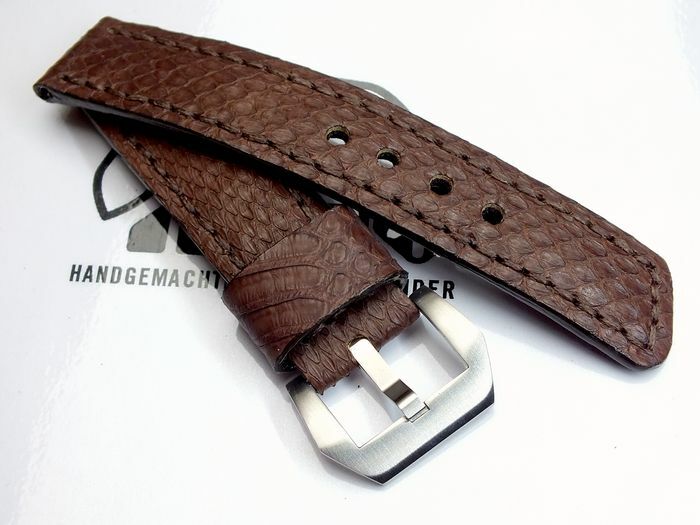 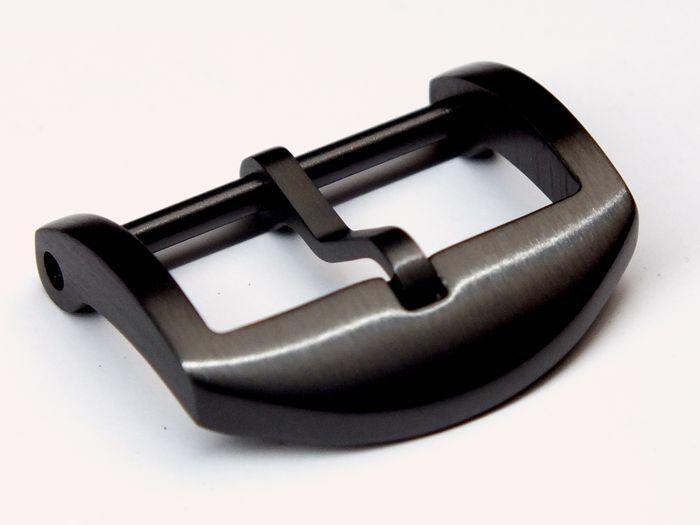 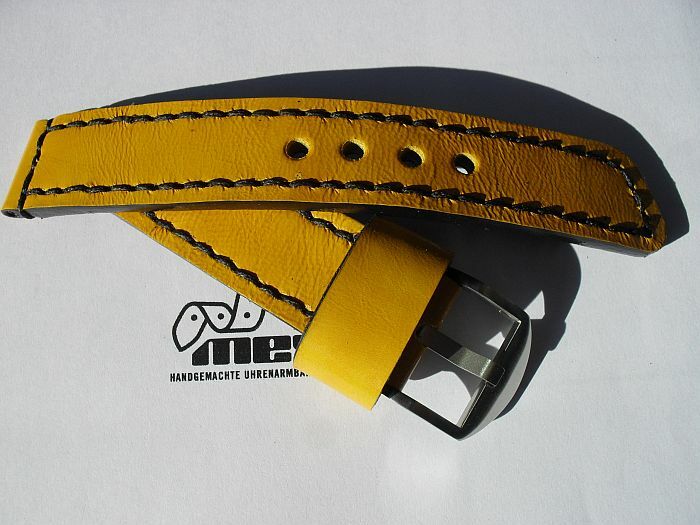 22001 - 22mm Strap "Calf brown"